In context: As technology evolution and maturation continue to move forward, many PC and other device companies emphasize the experience of using their products as key to their design philosophy. The goal, they say, isn’t just to deliver on the key technical requirements and other specs necessary to provide good performance, but to make the overall encounter with their devices engaging and inspiring. Rather than simply wrapping a notebook in leather, HP has actually built the Spectre Folio into the leather casing in a way that makes it an integral part of the device. The end result on the outside is a device that has the smooth, wonderfully tactile sensation that leather provides on quality briefcases, handbags, portfolios, and other non-tech products. Inside, however, is a fan-less, 0.6” thin PC design—driven in part by the non-porous nature of leather—that still manages to incorporate Intel’s new 8th generation Amber Lake 5-watt Y-Series CPU designs (both i5 and i7 versions are available), 802.11ac WiFi, up to 18 hours of battery life, a 13.3” 400-nit display, and an option for a 4K screen. It’s a tremendous mashup of both old-world craftmanship and cutting-edge technology. At a starting price of $1,299, it’s not a cheap offering, but it’s in the range of what you’d expect to pay for a premium device. 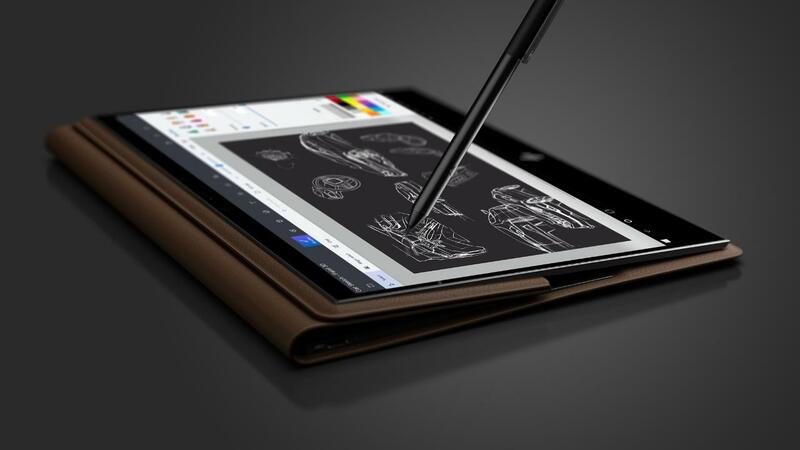 "Rather than simply wrapping a notebook in leather, HP has actually built the Spectre Folio into the leather casing in a way that makes it an integral part of the device." "If there’s anything that’s going to make integrated LTE [on notebooks] a more attractive option to some, it’s security that could start to shift the tide."